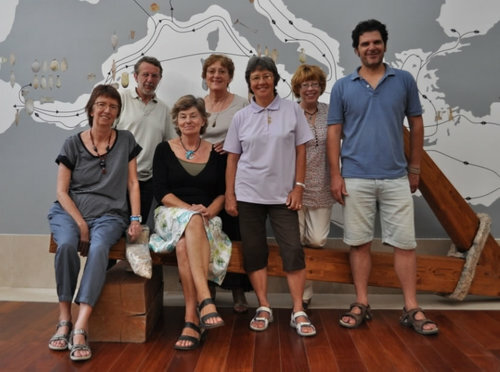 This Wiki site has been set up to enable a group of volunteer translators to work on English, French and German translations of information currently only available in Castilian and Valenciano at the Soler Blasco Museum in Xàbia / Jávea, Spain. Anyone who is interested can join the project, or if you just have a passing interest, feel free to send your suggestions to us. Please click on the "Translations / Traducciones" links on the menu, to go to pages which lists all the documents we have thus far uploaded for translating. If you want to edit any of these pages, you will need to have a Wikidot account and be a member of this site. If interested please use click on Contact on the menu on the left and we will send you an invitation with info on how to join. Site members can check out the video on Tips on Editing this Site, and then get on with translating ! English versions of the texts for all floors have been completed and are now on display in the Museum. We need volunteeers for German ! AMUX - The AMICS DEL MUSEU DE XABIA (Friends of the Xàbia Museum), was formed to help support this and other projects for the museum. It as organises talks and outings to promote interest in the Museum, Xàbia and Spain's history. See: http://amuxabia.weebly.com/index.html. AMUX is also on Facebook and Twitter.